If you are getting a makeover for your kitchen or if you are getting the kitchen made from the scratch, finding the perfect countertop for the kitchen can be difficult for most of the people. If you are going to take price, colour, and various other aspects into consideration, then it can be a little tough decision to make when it comes to finding the right granite choice for yourself. In this article, we are going to give you some tips that will make your selection an easy process. Modern granite countertops are available in many options and you need to be sure about what kind of stone, pattern, colour, and design that you want for your kitchen. It is not necessary that if you have a red paint in your kitchen, then you must choose red granite for it. This is because, when you are going to get the kitchen repainted in a year or two and decide to get a different shade, other than red, then the red countertop might not be a good match for it. Always go for a neutral colour that goes well with the rest of the decor in the house. Choosing the right colour for the granite can define the style of your kitchen and you need to be sure about the colour that you are going to finalize in the end. If you have a more modern setup in the kitchen, then you would want to go with white, grey, or black shades. Similarly, if you have a more traditional setup in the kitchen, then it is best to go for more earthly shades for the kitchen countertop. Cost of the granite plays a big role in the selection process. Granite is priced according to the square foot but the price can be dependent on other factors as well. For example, if you are going to go for a single slab of stone, then it is going to cost you a lot more than smaller size granite. 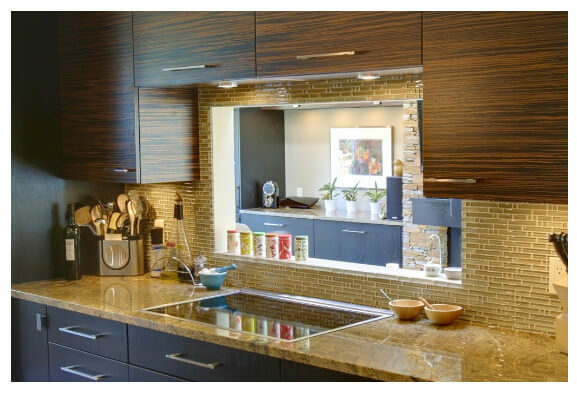 In addition, different types of edge patterns, designs, colour backsplash also determines the price of granite. When you are selecting the right granite for the kitchen, always be sure that you are looking for best deals in the market and take estimates from many places before finalising your deal. Always take the weight of the granite into consideration before finalizing the stone. Granite is a very heavy stone and it can weigh between 25 to 30 pounds per square foot! Make sure that the support you have beneath the countertop is strong enough to take the weight of the stone. You can also plan to make a sub deck to support the additional weight of the granite countertop. If you have chosen a single granite slab, then make sure you have stable cabinets prior to the installation of the countertop, so that it takes the weight with ease.